It’s already holiday season for the magazines as their December edition slowly make their way into the market, and this means new pictorials for us! A number of male stars have been chosen to be the cover models for the magazines and I find it a rare occurrence since most of the time, the covers are dominated by female stars and models. I’m just happy to see a pictorial but I won’t complain at all for this feast! 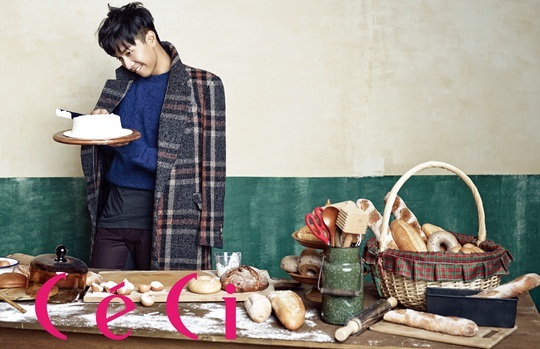 Lee Seung Gi: The New Baker King? 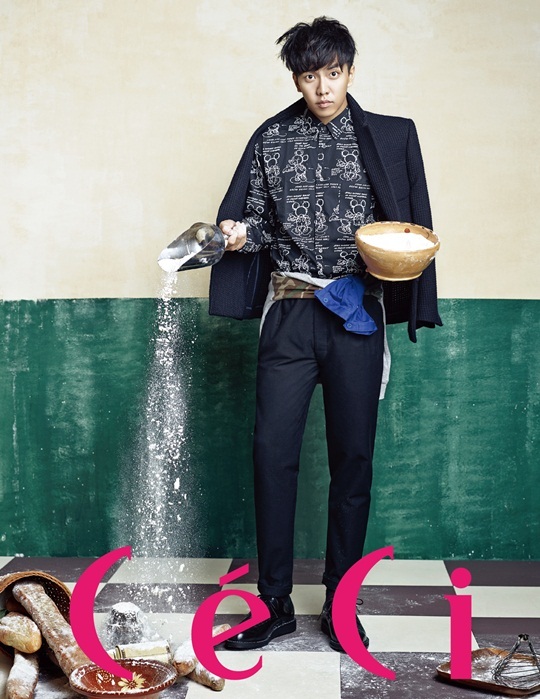 Well…he’s more like a mischievous boy playing with flour and messing up the kitchen, but the actor/singer is posing for CeCi’s cover for its October edition. I’m rather worried about his perfect suits being ruined by the flour compared to the kitchen mess. Anyway, you’re welcomed into my kitchen at any time!